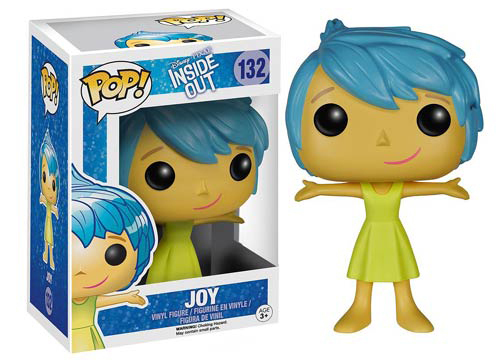 Pixar's Inside Out promises to get inside our heads unlike any Hollywood production since Being John Malkovich or the almost forgotten Herman's Head. 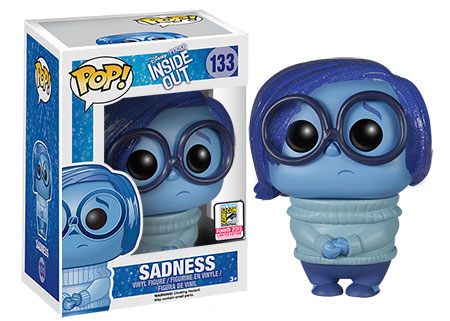 Making emotions into characters, the little voices in our heads may never be the same again. 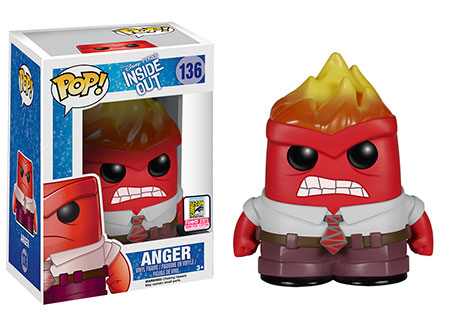 With the 2015 Funko Pop Disney Inside Out vinyl figures, they take on a physical form as well. The set has six basic figures, all but one of which are based on the emotional characters of the animated film. 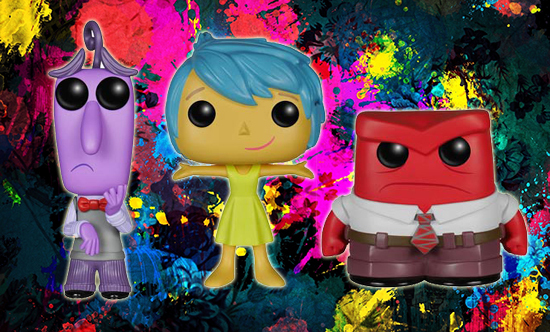 Joy, Sadness, Anger, Fear and Disgust make up the lineup. 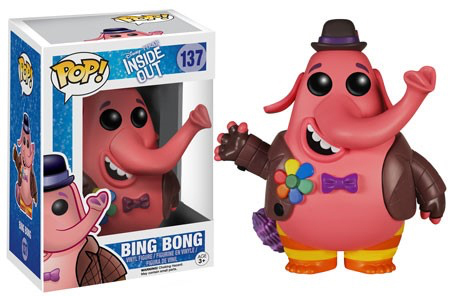 There's also the elephant-like Bing Bong. 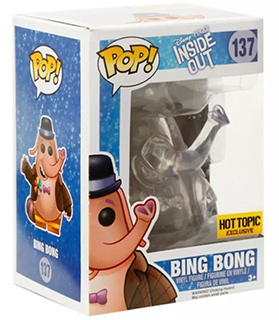 As far as exclusives go, Hot Topic has a Clear Bing Bong variant. 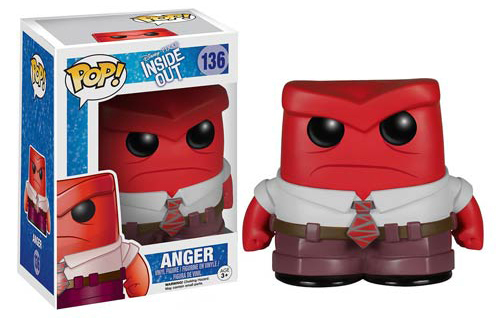 While the eyes are certainly different from what you see on screen, to stay consistent with the Pop! 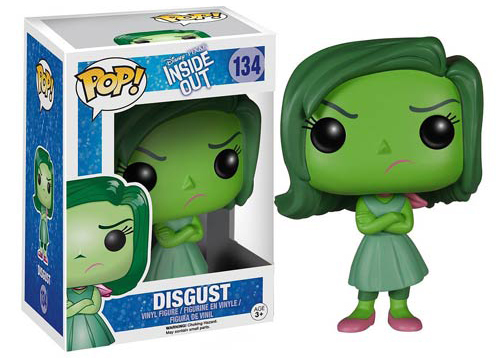 brand, the likenesses are otherwise close. 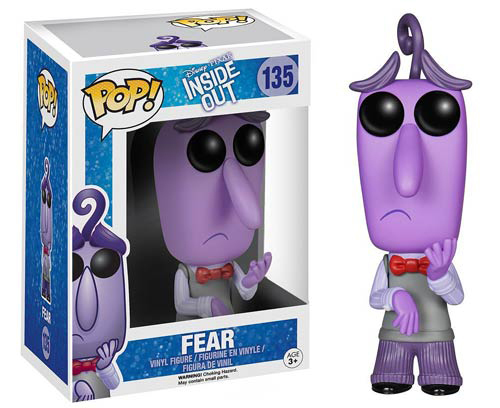 These are part of the Pop! 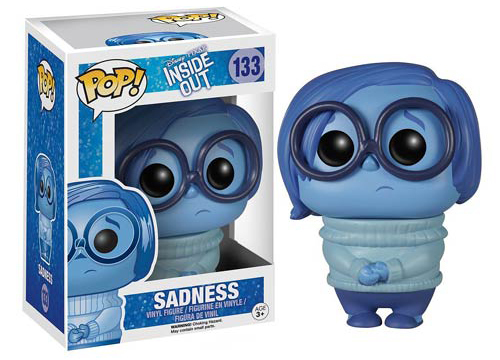 Disney sub-series, numbered to join the ranks of other figures based on the company's classic characters and movies.